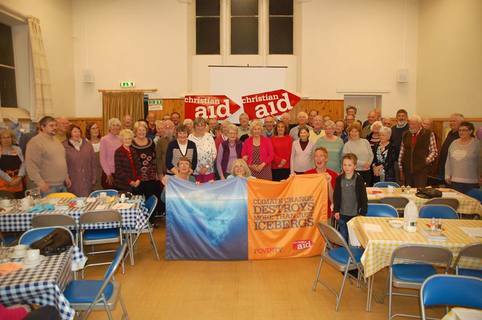 On Saturday 6 October 67 people, from the different churches in Devizes, gathered for a harvest supper at Sheep Street Baptist Church. Food prepared by volunteers was served and we heard Katrine Musgrave from Christian Aid speak about the importance of climate justice. We have heard much about climate change but more recently have begun to understand that if we do not look after people they will be unable to help protect the environment. To get people thinking a climate quiz was available and information about the work being done by local churches for Eco Church was on display. As always the support of volunteers helped make this an enjoyable as well as informative evening.